Leaving the Land of Your Limitations by Dr. Kevin Drury is a remarkable exposition that was both timely and eye-opening for me. The book is comprehensive and, better still, the author reads between the lines of scriptures quoted and expounds on them. Mark 3: 1-5, the account of the man with the withered hand forms the backdrop of the book. Leaving the Land of Your Limitations challenges the reader to leave their comfort zone, or their land of limitations, and place themselves in a position where they can receive healing and also grow in the process. In this case, the believer learns to open themselves up to receive much more of the life that they have been called into and ultimately to affect others by their walk in Christ. I loved that Dr. Kevin Drury points out some of the specific challenges that limit Christians to be more than they were called to be and he also explains how these can be overcome. The author’s comments on the myth that we are living in a time where the moral depredation in today’s society cannot be conquered, rendering the need for the return of Jesus accurate. Dr. Drury's response to this kind of thinking was life-changing. I also loved the whole theme of the book; growth and transformation and ridding myself of mediocrity. 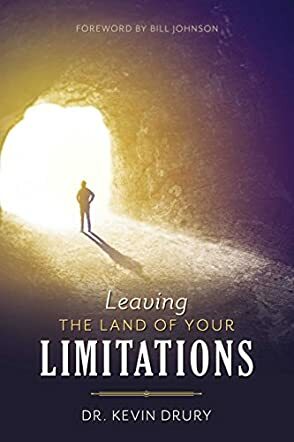 The prayers within different sections of Leaving the Land of Your Limitations were a thoughtful addition that will enable readers to move closer to what God has for them. Definitely a transformative read!